Canadian singer-songwriter Sarah McLachlan opened the Juno Awards by championing Canadian music, saying “there’s no denying” the country’s impact on music worldwide. 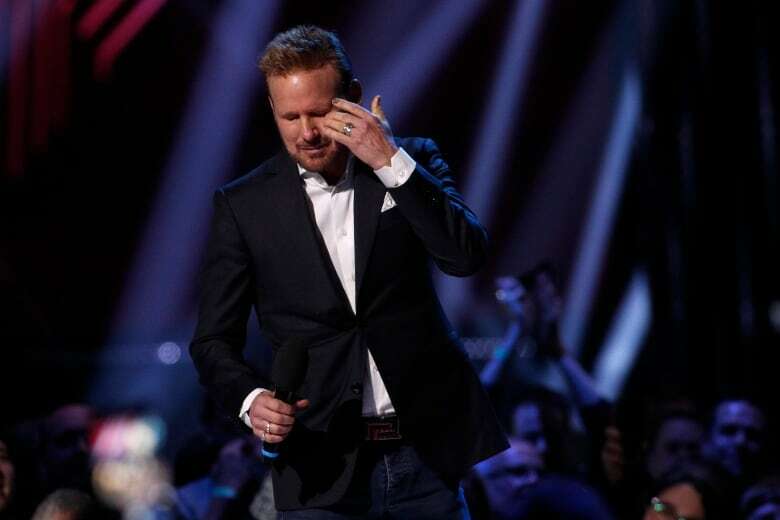 “Music is often that voice of inclusivity and hope … so tonight, we celebrate our light, our music,” McLachlan said on stage Sunday at the Budweiser Gardens in London, Ont. McLachlan also introduced 1980s music sensation Corey Hart, who was inducted into the Canadian Music Hall of Fame. Hart was known for massive hits beginning in 1983 such as Sunglasses at Night and It Ain’t Enough, following up that success with the 1985 smash record Boy in the Box. He said on stage he’ll be embarking on a Canadian tour in June and will be recording new music as well. Well-known names in the industry such as Sting and David Foster also presented awards. The majority of Junos, however, were handed out at a gala dinner Saturday night. London’s own DJ duo Loud Luxury opened the show with a performance of their hit song Body. The pair was joined onstage by Western University’s marching band and cheer squad. Loud Luxury won their first Juno for dance recording on Saturday. McLachlan will perform with folk-rock duo Whitehorse, in addition to performances by Arkells, Bahamas, Jeremy Dutcher, Coeur de Pirate and Corey Hart, who will be inducted into the Canadian Music Hall of Fame. Shawn Mendes heads into the night with the most nominations — and the most wins so far. 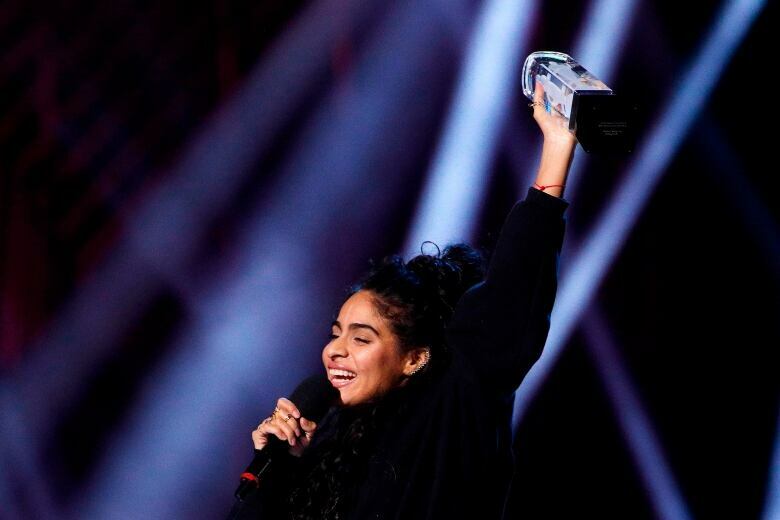 Mendes took home four trophies Saturday, including artist and single of the year. On Sunday, he won album of the year and is also nominated for the fan choice award. He didn’t attend the festivities but performed In My Blood via video from Europe, where he is on tour. Group:Arkells, Chromeo, Metric, The Sheepdogs, Three Days Grace. Album: Darlène, Hubert Lenoir, These Are The Days, Jann Arden, Shawn Mendes, Shawn Mendes,My Dear Melancholy, The Weeknd, Outsider, Three Days Grace. Breakthrough artist:bülow, grandson, Johnny Orlando, KILLY, Meghan Patrick. R&B/soul recording: Twos, Anders, Pain & Pleasure, Black Atlass, Stone Woman, Charlotte Day Wilson, Being Human In Public, Jessie Reyez, My Dear Melancholy, The Weeknd. Country album: We Were That Song, Brett Kissel, A Small Town Christmas, Jess Moskaluke, Country Music Made Me Do It, Meghan Patrick, Feels Like That, The Reklaws, New Tattoo, Tim Hicks. Fan choice: Alessia Cara, Avril Lavigne, bülow, Elijah Woods x Jamie Fine, KILLY, Loud Luxury, NAV, Shawn Mendes, The Weeknd, Tory Lanez.